At ABC Law Centers, charitable participation in the community is a core pillar of our practice. Since the firm’s inception in 1997, our staff has contributed countless hours and thousands of dollars to building, supporting, and interacting with our community. The focus of our charitable involvement corresponds with our niche legal focus—birth injury and special needs advocacy. Throughout this page, we’ll cover some of our ongoing efforts to better support the community around us. Through the programs, events, and initiatives featured below, our Detroit, Michigan birth injury law firm has helped children with birth injuries live lives of rehabilitation, equal opportunity, and fulfillment. ABC Law Centers president, Jesse Reiter, established this fund to support the research of Dr. John Barks, who is a Professor in the Department of Pediatrics and the Director of the Division of Neonatal-Perinatal Medicine at the University of Michigan. Dr. Barks’ clinical and laboratory work is critical to the development of new treatments for newborns with hypoxic-ischemic encephalopathy (HIE). Jesse has committed to supporting research by Dr. Barks and colleagues. Others are also welcome and encouraged to contribute to this fund (click here for an online donation link). Our annual scholarship is for financial assistance designed to simultaneously increase awareness about cerebral palsy (CP) and celebrate the achievements of those with cerebral palsy. ABC Law Centers will award one scholarship in the amount of $1,000 to a high school, undergraduate, or graduate student who has cerebral palsy. Read more about the scholarship here. For every holiday card our firm sends out at the end of the year, we donate to the Miracle League’s summer baseball program. Additionally, our team takes part in Miracle League games as “Player Buddies,” assisting and working one-on-one with children participating in the program. The Miracle League is a program that provides behaviorally, cognitively, and physically disabled children with the opportunity to play baseball in an organized league. Participants play and practice at a specially designed Miracle League field in Southfield, Michigan. In order to prevent injury and accommodate wheelchair and walking device access, the field’s turf is made from a cushioned synthetic material. Read more about The Miracle League here. Hope for HIE is a non-profit organization devoted to providing resources, education, information, and support to children with hypoxic-ischemic encephalopathy (HIE) and their families. The Division of Neonatal-Perinatal Research and Education, which is comprised of neonatologists who care for injured and sick newborn infants, educate future pediatric and neonatology medical professionals, and conduct cutting-edge research in the field of neonatal-perinatal medicine. C.S. Mott Children’s Hospital, which provides cutting-edge pediatric treatment. 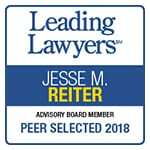 Jesse Reiter and ABC Law Centers have supported a variety of events and funds, including the Mott Golf Classic and the Charles Woodsen Research Fund. Learn more here. The Ataxia Clinic, which is involved in treating ataxia as well as conducting research into the causes of ataxia and developing new therapies. Our donation helped Dr. Vikram Shakkottai and his colleagues. They are researching how changes in cerebellar physiology can affect ataxia disorders, and if ion channel modulators can be used to treat motor disorders. They are passionate about the prevention and treatment of ataxia, as well as working toward a cure. Research on artificial placenta technology, which could help very premature babies survive and develop. One of the biggest risks facing preemies is their underdeveloped lungs; they are often unable to provide the brain, heart, and other major organs with enough oxygen. This can lead to brain damage, permanent disabilities, and even death. In a U of M Health Lab Blog, Beata Mostafavi notes that an artificial placenta, “could revolutionize the treatment of extreme prematurity.” Learn more here. The Jerry Isler Neuromuscular Fund, which supported the development of Nerve Whiz, a free cell phone app that serves as a diagnostic tool. It allows doctors to note down areas of muscle weakness or sensory loss on a picture of a limb. Nerve Whiz then provides a list of which areas of the nervous system are likely to be involved. Learn more here. The Department of Physical Medicine and Rehabilitation, which houses a multidisciplinary team of experts. According to their web page, they strive “to help every individual maximize functional performance and achieve independence and community integration.” Learn more here. The Child & Family Life Program, which aims to reduce stress caused by pediatric illnesses and hospitalizations. They provide a variety of services, such as activity centers, art therapy, and a hospital school program. Learn more here. The Epilepsy Discovery Fund, which supports research on a variety of topics, such as the causes of seizures, how to detect seizures early, and the relationship between epilepsy and sleep. Learn more here. Reach Out and Read (ROR), which was created in order to combat illiteracy by making it a part of primary care. ROR provides a new book to children from low-income families between 6 months and 5 years old that they can take home with them. Since their beginning in 1997, over 250,000 books have been donated. Learn more here. Ronald McDonald House Charities, which provides temporary housing (close to the hospitals) and support to families with sick children, among a variety of other initiatives. Rebecca Walsh, partner and birth injury attorney at ABC Law Centers, served on the Ronald McDonald House Charities (RMHC) Board of Directors from 2009-2015. Learn more about RMHC here. Jesse Reiter is a Special Olympics Partner for the Special Olympics Michigan. His donations to and involvement with Special Olympics Michigan support the training and competition of special needs athletes around Michigan. Additionally, Partner Euel Kinsey participated in a barbershop quartet performance at a 2016 Special Olympics of Michigan fundraiser in Port Huron, Michigan. To learn more about Special Olympics Michigan and their programs, please visit their webpage here. ABC Law Centers has proudly sponsored the Sterling Civic Theatre’s Noah’s Ark program, which provides adults and children with intellectual and developmental disabilities with a chance to perform on stage. Team for Kids is a charity that raises funds to combat childhood obesity and empower youth development by way of running, health initiatives, and character-building programs across the county. ABC Law Centers legal assistant Lisa Springmeyer raised over $3,000 for Team for Kids during her time training for the New York City Marathon in 2016. Operation Good Cheer, a volunteer effort sponsored by Child and Family Services of Michigan, delivers holiday gifts to foster children and individuals with disabilities throughout the state of Michigan. Attorney Euel Kinsey, an accomplished pilot, has been flying presents to foster kids with the program since the early 1990s! Read more about Euel’s work with this organization here.